I’ve posted about the Voyager spacecraft before, but a recent NPR segment re-captured my interest. 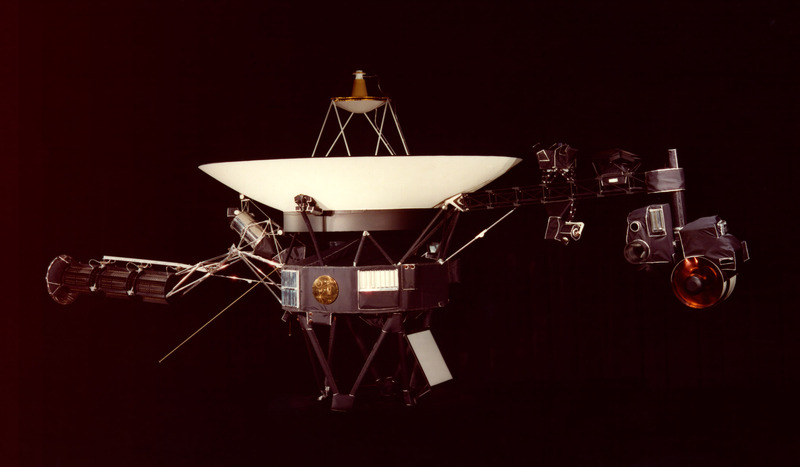 Indeed one of the most amazing achievements of mankind, the Voyager probes were launched in the 70s, and Voyager I is speeding toward the very edge of our solar system’s heliosphere. Beyond that, the spacecraft will enter interstellar space, a vast place that is no longer influenced by our own star, the sun. Powered by a 45+ year nuclear ‘battery’, Voyager has survived decades in the quiet expanse of space, cruising past our closest planetary cousins, communicating with Earth all the way. Undoubtedly one of NASA’s greatest successes, it’s a project that inspires us. 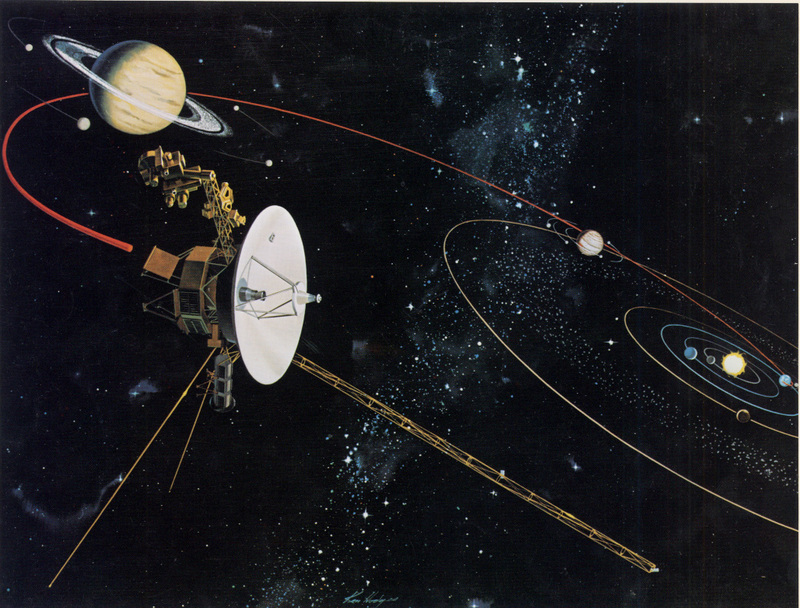 The Voyager 1 spacecraft is 11 billion miles from the sun. And every minute, it gets 636 miles closer to its destination: the frontier of interstellar space. The craft is currently in what NASA calls, not undramatically, “the boundary between the solar wind from the Sun and the interstellar wind from death-explosions of other stars,” an area that astrophysicists also call, less dramatically, a stagnation layer. When Voyager 1 crosses that threshold, it’ll become the first man-made object to do so. That feat, along with the recent discovery of Kepler-22b, a potentially inhabitable planet, means that it’s an exciting time to be an astrophysicist. Now, NASA and its two Voyager craft are heading into the great beyond. Once they’ve reached interstellar space, the Voyager spacecraft will also have a chance to deliver their golden cargo — the data records that include 116 pictures, along with sounds from Earth. Those include songs from Louis Armstrong, Beethoven, and a Navajo tribe. It may seem risky to send an open invitation to the universe that tells alien races to stop by for a bite. But it’s not as if Earth can send many invitations. That’s because of the unique way our solar system’s planets were aligned in 1977, when the Voyager craft were launched. 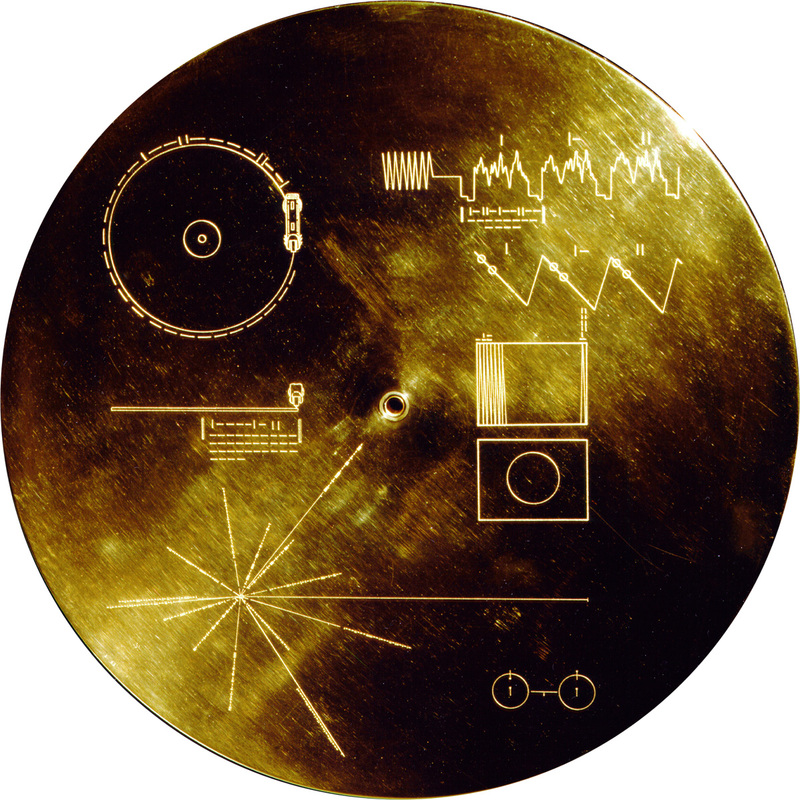 Each Voyager space probe carries a gold-plated audio-visual disc in the event that either spacecraft is ever found by intelligent life-forms from other planetary systems. The discs carry photos of the Earth and its lifeforms, a range of scientific information, spoken greetings from people (e.g. the Secretary-General of the United Nations and the President of the United States, and the children of the Planet Earth) and a medley, "Sounds of Earth", that includes the sounds of whales, a baby crying, waves breaking on a shore, and a collection of Earth music, including works by Mozart and Chuck Berry's "Johnny B. Goode". The Voyager spacecraft are expected to stay functional until at least 2020, and possibly until 2025. Toward the end of the interview, Stone said that in the Voyager mission, every day seems to bring a new revelation about our solar system. 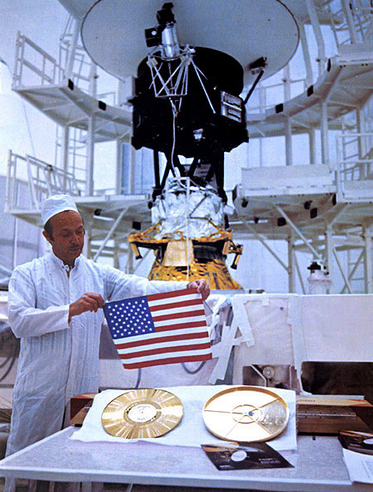 In doing so, he voiced an opinion that wouldn’t be out of place on the space probes’ gold records.